Intel are without a doubt the most popular processor manufacturer in the world. Their latest 8th gen CPUs offer great performance and feature a wide range of performance levels from their quad-core Core i3 range all the way through to the high-performing six-core Core i7. We also have a selection of 9th generations CPUs available. PLEASE NOTE that only the Z390 motherboard selectable in the configurator below is compatible with the 9th gen CPU. ASUS have been the UK's number one motherboard manufacturer for years. When you look at the quality of their motherboards it is not hard to see why. 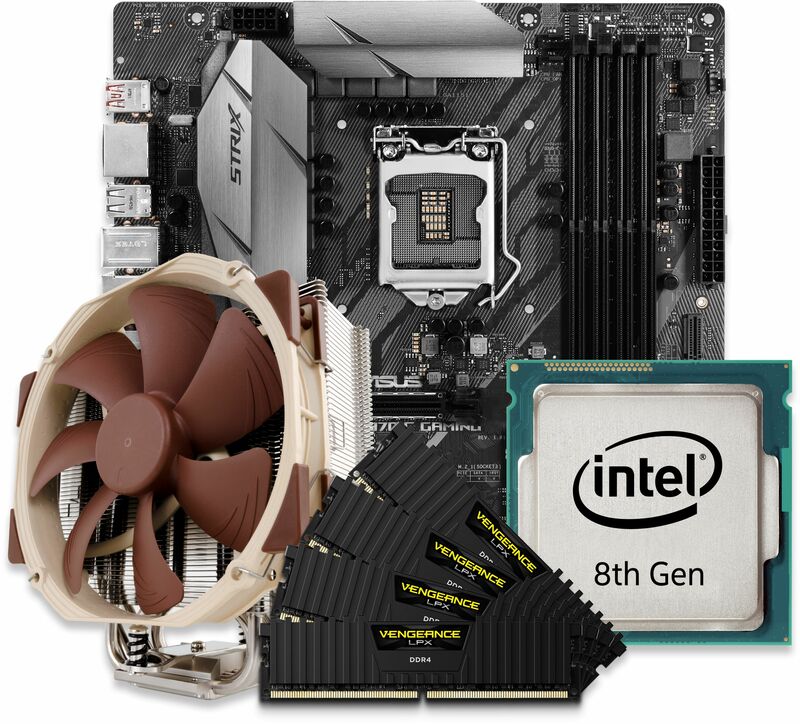 This particular bundle can be assembled with the feature packed Z390 chipset for extreme performance. Or for cost conscious customers the H370 and B360 chipset motherboards are also available. ASUS PRIME H370M-PLUS Micro-ATX LGA1151 Motherboard ? Thermalright AXP-200 Muscle Low Profile CPU Cooler ?